Already this week new materials for the final phase of construction have been purchased and work will begin any day now to put up the walls and and fixtures. In past weeks, the extension pillars and roof were poured to make way for this third level on our existing building. Included in this goal are funds that will also allow us to make critical security upgrades at our entry gates and around the campus wall, expand and improve our vegetable garden and banana grove to meet the increased nutritional needs of our enrollment, renovate the playground, and re-install our solar array on the new roof. We’re so grateful for your support of this campaign. Now our next goal is to get as many sponsors as possible for the new girls who were rescued this past summer. 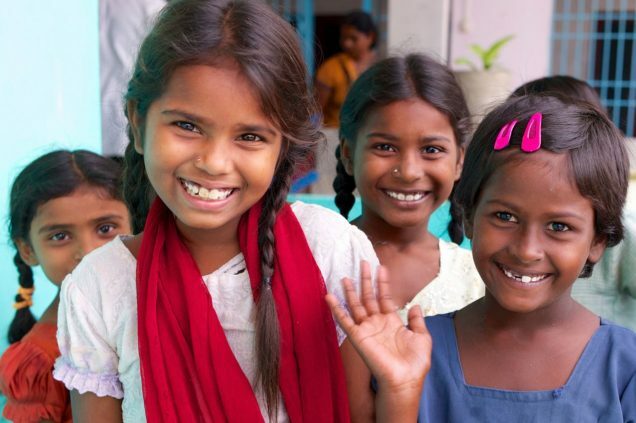 Please consider sponsoring one of these girls, to cover their entire upbringing, including housing, nutrition, education and medical care, for just $48 a month.